S.W.A.T. is a multi-agency regional tactical team commanded by the DCSO that responds to high risk law enforcement calls like active killers, barricades, serving search warrants, shots fired, dignity protection and others. The team includes operations and tactical commanders, team leaders, entry operators, K-9s, snipers, crisis negotiators, paramedics and civilian volunteers. 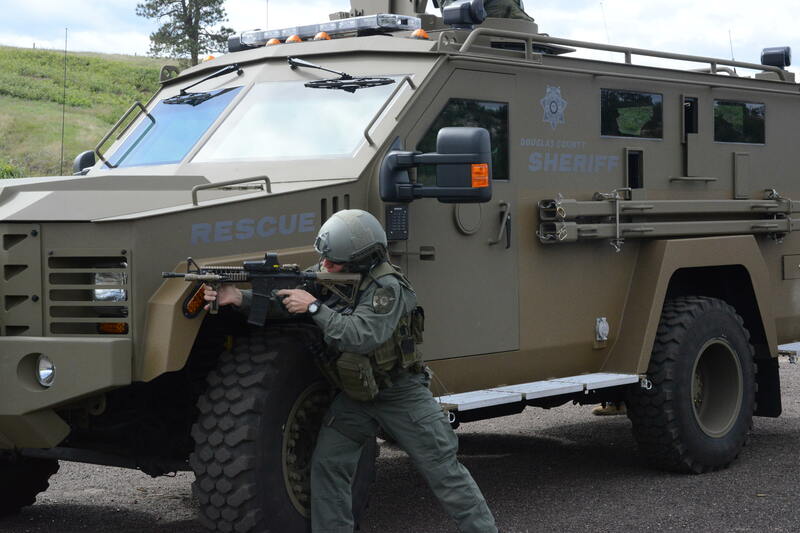 SWAT is made up of deputies from DCSO, officers from the Parker, Lone Tree and Castle Rock Police departments and medics from the South Metro Fire Rescue Authority. The team was established in 1984 to meet the special policing issues of our rapidly growing community. Team members are required to maintain high physical standards and weapons proficiency, both of which are regularly tested. Internal file reviews ensure that all members are maintaining high evaluation scores and good work practices. Team members are on call 24 hours a day, 7 days a week, and are able to respond immediately from their location to any call-outs or incidents. The majority of the team members are issued take-home cars for efficiency in response and availability of equipment. Douglas County Sheriff’s Office S.W.A.T. Team has developed an experienced, efficient, highly effective unit capable of providing the response and service needed to keep our communities safe. South Metro Fire Rescue Authority provides tactical medical support on all missions. The S.W.A.T. paramedic concept has been an integral part of this team since 1986. 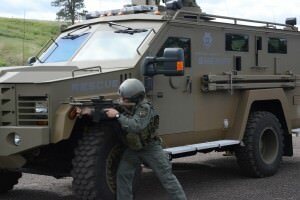 The first of its kind in Colorado, the S.W.A.T. paramedic concept is now being emulated by others finding paramedic members a distinct advantage. The mission of this team is to defuse potentially life threatening situations through the use of proven verbal crisis management techniques. The 11-person team is a voluntary on-call unit from the DCSO and the Castle Rock, Lone Tree and Parker Police departments. The team is trained in and equipped with specialized weapons and equipment. They provide SWAT with another set of eyes. They also perform scouting and reconnaissance.